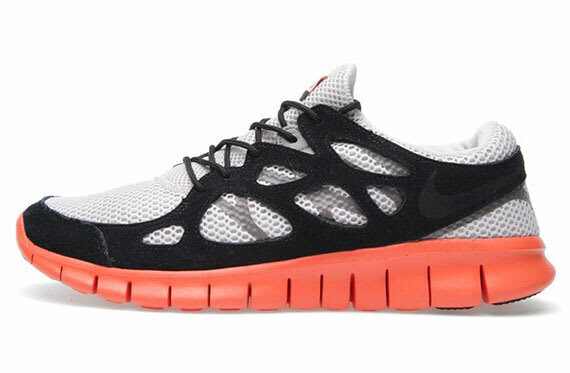 Nike Free Run+ 2 EXT "Desert Sand/Electric Orange"
The sophisticated Sportswear edition of Nike&apos;s Free Run+ 2 is here presented in a new colorway for spring/summer. The suede and mesh set features a Sand-colored spread, paired nicely with an Electric Orange Free sole unit, which pops underneath. Black caging contrasts the light-colored body, matching the laces accordingly. If you&apos;re into the Sand and orange offering, you can pre-order your size today through the UK&apos;s End. Delivery will come next month.